Syed Qasim Rasul Ilyas has been named the general-secretary of the new political party, while Lalitha Naik, Father Abraham Joseph, Zafarul Islam Khan, Abdul Wahab Khilji and Ilyas Azmi will be the vice presidents, a press statement said. Salam Vaniyambalam has been appointed the treasurer while the two secretaries will be Rama Pancha and PC Hamza, the former national president of Students Islamic Organization of India (SIO). Farooque joined Jamaat during his student days. A former state president of Jamaat in Maharashtra, he has been actively involved in various social, economic and political activities. Speaking to reporters Ilyas, who is also a Shourah member of the JIH, said the new political party would be a secular party with members drawn from different religions, regions and castes. "The JIH has spared some of its members to participate in the party," he added. The new party is likely to test political waters in the Uttar Pradesh assembly election next year. "We are ready to align with like-minded groups and initiate discussion with them," said Farooque. Jamaat has welcomed Dalits and other backward castes to join the party. 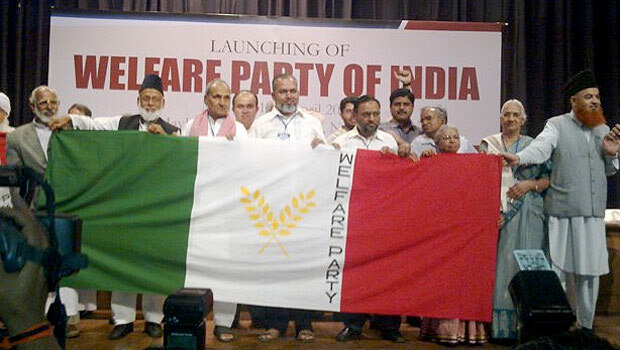 The Welfare Party of India aims at reforming Indian politics and realizing a welfare state based on moral values and governed by the principles of justice, freedom, equality and fraternity. "To achieve this objective, the party will launch massive public campaigns and will awaken the socio-political public consciousness," a Jamaat official said. "It will try to inculcate among the common people the self esteem, the self confidence and the ambition and courage to fight oppression and exploitation. It will try to promote able and virtuous leadership among masses and advance alternative politics in the country," he added.